Roland de Wolfe was born in London, England on November 30, 1979. He took a different route into poker than most poker players, as he didn’t go straight into poker or come in after being a dealer. Instead, Roland started playing poker after he had spent some time as a journalist covering poker tournaments. He realized he was a good poker player when he decided to enter a poker tournament and found himself winning it after making it through two very tough poker opponents in the final three. Since then, Roland has been a professional poker player. Roland de Wolfe has numerous nicknames. He is known as “The Sheep,” “The Edge,” “Chopper,” and “The Wolfman.” Roland de Wolfe has had a good career as of late. He won the Gutshot Poker Festival and followed that up by finishing in the money at the 2005 World Series of Poker $1000 No Limit Holdem event. In July of 2005, Roland de Wolfe won the World Poker Tour 4th Season Grand Prix de Paris event after defeating Juha Hellpi in heads-up play. In April of 2006, Roland de Wolfe finished in 3rd place at the Season 4 WPT World Championship event. 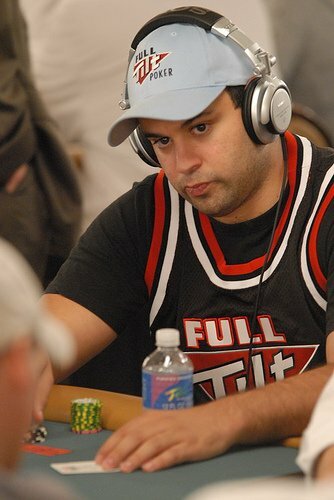 Also in 2006, Roland de Wolfe won the European Poker Tour Main Event in Dublin, Ireland. To date, Roland has won more than $2.9 million in poker tournament winnings. Roland de Wolfe currently lives in London, England.